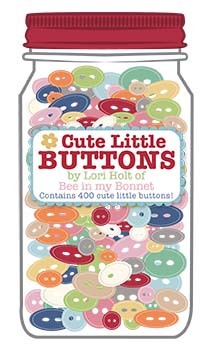 STB-LH-2742 Button Jar #1 by Lori Holt of Bee in My Bonnet. This cute button jar includes 500 various sized buttons in vintage ?Lori Holt" colors and designs. Sold by the package of 3.